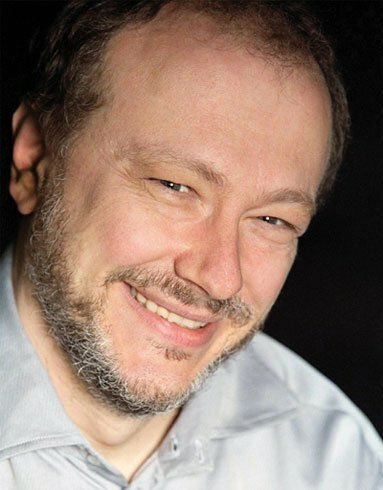 If you ever attend a performance by Marc-André Hamelin, and he gives some last second apology/excuse for not performing the piece you were looking forward to hearing most, because of his charm, you’ll not only fall for said excuse, but you will also feel guilty for having discomforted him in any way with any of your petty expectations. If history repeats, you’ll be in for something special in exchange. But I get ahead of myself. For the Boston Celebrity Series event at Jordan Hall on Saturday night, Hamelin had scheduled an evening of sonatas, though (since not all Classical) the term could be applied loosely. To start: a little Haydn hiding in front of some big, tumultuous Beethoven, with two unfamiliar single movement works of Samuil Feinburg sandwiched between. After intermission, it was to be Scriabin’s White Mass Sonata (another single movement work), then Chopin’s 2nd (though written first) B-flat Minor Sonata. Speaking of expectations, those familiar with Hamelin’s now benchmark double-CD albums (three of ‘em) of Haydn were pretty sure he would deliver. He did. Baroque-like filigree in the Andante to the Sonata in C Major, Hob. XVI:48 discoursed with full freedom over a finely regulated rhythmic pulse: light drama balanced with wit, and a consistent projection of nearly all minor (read: darker) material at a much bigger volume (read: giving structure). A variety of piano attacks (lyrical, sharp, rich, pin-pricky, layered (read: pedaled) came with choreography: that elegant wrist-turn of his; use of a single finger to play a series of quickly ascending notes; two pronged fingers to deliver a series of precisely hammered tiny stabs of ascending thirds in similar fashion. The Rondo: Presto was bouncy, and fun. Musical appetites were whetted, tonal palates at attention. Which was good, because the two short sonatas, first No. 2 then No. 1, by Samuil Feinburg deserved our attention. With the start of the 2nd Sonata, Hamelin displayed his only nerves of the evening. Some hesitation and shrouded playing of the opening phrases didn’t detract much, though, from the mood he seemed to wish to establish, which was, well, somewhat shrouded, under-watery, and hesitant. A four-note theme, continually evident, cycled downward across the keyboard. Beautiful sonorities that seemed almost anti-Prokofievian came too. Quite a mood shift from Haydn. Hamelin rendered the 1st Sonata with rich rubato (read: stretching phrases like taffy), and ultra-Romanticisms. [It’s interesting to hear his performance of these works on YouTube while watching the score: the elasticity so much more apparent, seeming almost excessive, while live and score-free, it seemed just right.] Knowing so little about this composer, sometimes he (or Hamelin channeling Feinburg) sounded like Scriabin influenced by Satie, Debussy, Ravel (distillate notes sparkling out of a rich, woven texture), and Rachmaninoff (distillate notes sparkling out of a rich, woven texture, but not like Ravel). The work grew more virtuosic, ending huge, with Hamelin somewhat self-indulgently stabbing the final chord. Beethoven’s deceptive straightforwardness can mean that so much of his musical persona gets lost in recording translation. Hamelin’s very live performance of the Appassionata made for some real excitement, and pace. The Allegro Assai was appropriately muted, before the Jekyll/Hyde tantrums ensued (to be fair: even Jekyll was never in good spirits here). Violent extremes were pronounced, as was the hemiolaic (two against three) rhythmic warring between musical personalities. Though the less intense 2nd theme might have benefited from a little more relaxed singing, this was not what Hamelin had in mind. He drove relentlessly reaching something assertive, downright demonic in the opening movement, and especially in the coda (big chords on tectonic display), until dying away, as softly as he had started. The short Andante variations provided calm and lyrical relief. To start, Hamelin had the upper line voiced on solo display, a lovely effect. As the music developed rhythmically through the variations, an underlying pulse kept everything just barely grounded while seeming to float along, until all hell broke loose. The precise hammering of those intro chords to the perpetual-mobile-like final movement was a clue. We were in for a ride. The last movement was, in a word, thrilling. How could Hamelin articulate those mini-arcs of sound with such color, speed and clarity, micro-cushions of time between each note? Mini-arcs became waves, then avalanches of controlled sound, with a tense ebb and flow (drama unfolding) up to an even more exhilarating Presto coda. Amazing stuff! The Scriabin Sonata No. 7, Op. 64, “White Mass,” was virtuosic throughout, but not showy, the work launching big and jagged, full of mystery and color, and full of bizarre trills and sonorities. Built on a descending five note idea that begins to haunt, then seems to develop something of a head and a tail, this is music of a strange realm, but much less strange than it might be, with Hamelin as tour guide, so much in his comfort zone. How would the Chopin have fared following the Scriabin? Who cares (and no one loves Chopin any more than I)? We got the Schumann op. 17 Fantasie instead! And boy, thirty-some minutes later, were we grateful. This was hardly a salon-style performance, rather one suited for concert halls. Hamelin held his big beautiful, soaring sonorities and outpourings of emotion in check through intellect and clear conception. There came points in the opening movement where he would articulate slight pauses between slowing notes with his entire frame. Rapture and passion, wrapped in logic, or vice versa? No matter. He unfolded deliciously differentiated but clearly linked musical ideas. His Rubenstein-like ability to convey a crescendo within a single note or chord at the piano also seemed to happen. That’s impossible of course, but what wonderful illusion. The 2nd movement galloped as a tour-de-force, in which he made many inner dialogues manifest, between and within piano registers. And what astonishing balance and power did he achieve in those inside-out jumping octaves at the end (the pianist’s most advanced instance of an Olympian breast stroke, one could say) of this visual and sonic feat and feast. He held the final chord for nearly half a minute until sound had almost entirely dissipated, allowing for no break between this and the final movement. The finale unfurled something intimate, freshly original, and achingly tender. So slow it was, with so many nuanced pauses. Since we were not to hear any Chopin this evening, this movement seemed Chopin-esque enough, though I can’t pinpoint why. I thought of the Chopin Sonata in B Minor 3rd movement, which, while not as epic as the Schumann, is grand and eloquent all the same. Chopin’s op. 27, no. 1 Nocturne, a mini-epic in itself, perhaps also came to mind, because in it, Chopin seems already to have come to terms, with the inevitable. Hamelin rendered this last movement of the Fantasie as an “epic farewell.” Loads of rubato, pauses, foggy sections of pedaling, warmth and poignancy came in each carefully wrought moment. This music-making was at once aristocratic, joyous, and so sad. So memorable, too. A huge ovation demanded an encore. A showpiece would have come across as awkward. Hamelin, instead, gave us Schubert’s Impromptu in A-flat, D. 935/II, interpreted in his own time; he extended the first note of each beat beyond what seemed reasonable, and nearly removed the second note from the audible realm, but of course it worked. More sadness, and what felt like heartbeats. We would get a showpiece, next, but in the form of the corny, delightful, charming Moritz Moszkowski’s Waltz in E Major, Op. 34, No. 1. Almost never heard today, it was played in concert halls everywhere nearly a century ago. Frilly entry material makes way to lovely fluff (picture rhinoceroses—albeit deft, agile rhinoceroses —in tutus in a choreographed underwater ballet). There were several moments of sheer hilarity as Hamelin would arc his left hand over the right and bring one extended finger gently down to end a phrase with a quiet ringing tone. Fluff gave way to some serious (in the difficult rather than musical sense of the word) pyrotechnics, and then the waltz became massive. No water remained in the pool when the proud, happy rhinos took their bows. A perfect ending to an awesome evening. Jim, I enjoyed your excellent review. This was one of the greatest concerts I’ve ever heard, or reviewed. He was absolutely spectacular. Glad you got to hear it. I echo Susan Miron’s comment and Jim McDonald’s excellent review. Mr. Hamelin is a pianist who can encompass many periods and styles so well. I am still recovering from his last Jordan Hall epic recital where he played one of Nikolai Medtner’s sonatas, a large beast which he tamed most admiringly. His often “out-of-the-box” repertoire brings us music which we rarely have a chance to hear live. A great admirer of Chopin, I was actually happy to hear the Op. 17 Schumann Fantasie. Return, master of the keyboard. It was an awe-inspiring concert by an artist who can play just about everything better than just about anyone. This is how I ended my review (in ArtsFuse). I also wish he’d play in this area more often. one has to take his hat off to salute Hamelin, not because he extends people’s artistic imagination on Appassionata much, rather because his seriousness refrains him from showing off his great keyboard skills. As a virtuoso pianist, his music is rid of mannerism that is so typical today, of course. I did not feel I was emotionally touched by B23 in a very special way, but the execution level was very high. He played so effortlessly. Most people, incl. myself, would be highly satisfied with a live listening experience like last Friday’s B23. I was glad to get an introduction of Feinburg’s sonatas. They indeed sound like some practice composition from Scriabin. Not familiar with those work, certain phrases seemed plainer than what they could be under Hamelin’s hands. Hamelin has a great Scriabin 2 on CD(if I remember correctly), but generally speaking the first half is not as great as the 2nd half. So No7 was a great treat. His 7 on CD is probably better, because the live performance was not as cold and dark. I was pleased with his decision to sack Chopin 2 from the program, because I happen to feel like listen to Schumann at the time too. Schumann’s piece was the only place where Hamelin broke out the cage of strict discipline and played with more freedom. Schumann’s youthfulness need a lot of attention and care. I didn’t think it was as good as his Beethoven and Scriabin. And I may not buy his Schumann CD after this one. But I agree with the people above. It was a very good concert. Thorsten’s comments are very insightful. I agree with everything he wrote. I may have been slightly more enthusiastic about the Beethoven. I particularly liked what he had to say about virtuosity. Hamelin is one of the great virtuosos of our time, but it is virtuosity for use, not for its own sake. This makes him particularly well suited for those composers, mostly themselves virtuosos, who understood the ways in which virtuosity opens up musical opportunities, and put it to use. Beethoven is the foremost example of this. I admired the first movement of the Appassionata, but from a distance. The second I found beautiful and even moving. The third was thrilling, utterly involving, drawing me in like no previous performance by Hamelin ever has. Most pianists, even among the best, falter in this movement, showing some slight hesitation, some small failure of nerve, but Hamelin plunged forward in a true perpetuum mobile, without caution, without protection. It was like running precipitously down a steep, chopped-up mountainside, knowing any misstep would mean disaster, but never making one, finally reaching the ending with the certainty and finality that cannot be reached in any other way. I liked and enjoyed the Fineburg, but as Thorsten says it was like practice for the Scriabin. The Scriabin sonata seemed to encompass everything that was in both the Fineburg sonatas, and much more. The Haydn of course served as an introductory palate-cleanser, and a welcome sample from one of Hamelin’s recent series of releases (where he has been carrying on a thrilling Haydn-duel with the also-estimable Jean-Efflam Bavouzet), but it also showed his care in program-building, because he chose a sonata that demonstrates that Haydn is as much a fantasist as Scriabin or Schumann. For me, however, the high point of the concert was the Schubert Impromptu that he played as an encore. I confess to an act of mental lèse majesté; while he was playing this I found myself thinking “this is the best composer on the program”. In my defense, if Beethoven had been there he might have been tempted to say the same thing, if only for a moment.